One of the attractive attributes of the city of Leiden is its location. 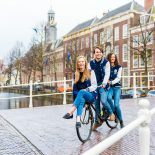 It is conveniently centered around the bigger cities of Amsterdam, The Hague, Rotterdam and Utrecht. Again the Netherlands is bang in the center of Europe, and so is rightly called the “Gateway to Europe”. This was a boon for a student backpacker like me. However, time was the determining factor. Weekdays were choke block with studies, reading articles and other study material, making presentations, preparing for debates, writing essays and giving exams. Weekends too would pass of in a jiffy with all the lazy mornings, cleaning, washing, cooking Indian dishes and unwinding in the local bars, drinking nice beers and catching up with friends. Fortunately spring arrived a few days earlier this year and my department declared a two week spring holiday between trimester two and three. However, it was still off peak season by the travel calender. That meant less crowd and great discounts. I thought the time was ripe, got a 3week travel pass from Eurolines bus company and booked my first ticket to the grandeous city of Vienna. 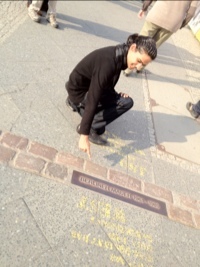 Then hopped on to Budapest, Prague, Berlin, Copenhagen and Brussels. I was hosted by my friends in Vienna, Berlin and Copenhagen, couch surfed in Brussels, and booked dorms via hostelworld.com in the other cities. Wikitravel was my guide all through. It was an eclectic mix of people, places, culture, rituals and tradition, art, music, great night life and not to mention the gastronomic roller coaster ride. The opera in Vienna, thermal bath in labarythine saunas of Budapest, pub crawl through one of the largest pubs of Europe in Prague, a wedding in an alternative underground bar in Berlin, a boat ride to Copenhagen and street performances in Brussels, all are etched in my memory forever. 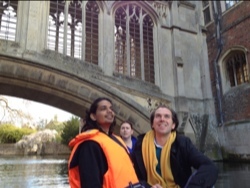 Then It was our study tour to London, Cambridge and Glasgow. This time we were a group of eleven and everything was pre planned. So it was fun unlimited and at the same time being relaxed and at leisure. Walking the London bridge was a dream come true. 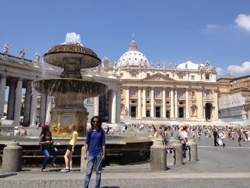 I finally concluded my grand tour of Europe by visiting Madrid and Rome in my summer holidays. 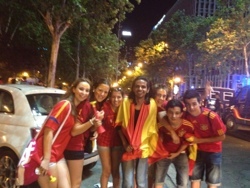 It was the pride week in Madrid and was immersed in madness and celebration after Spain winning the Euro cup. The more you say about Rome the less it is. 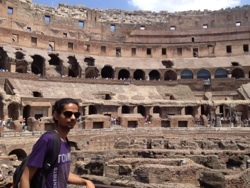 Had goose bumps stading in the colosseum. Every street and corner had little stories to tell from its 2000 years of glorious existence. Whenever I travelled I missed Leiden. It is my idyllic little town, away from the hustle and bustle of big cities but still full of character and plenty things to do. 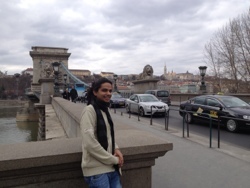 This entry was posted on July 20, 2012 by admin@theleidener in Shiva, Travel.